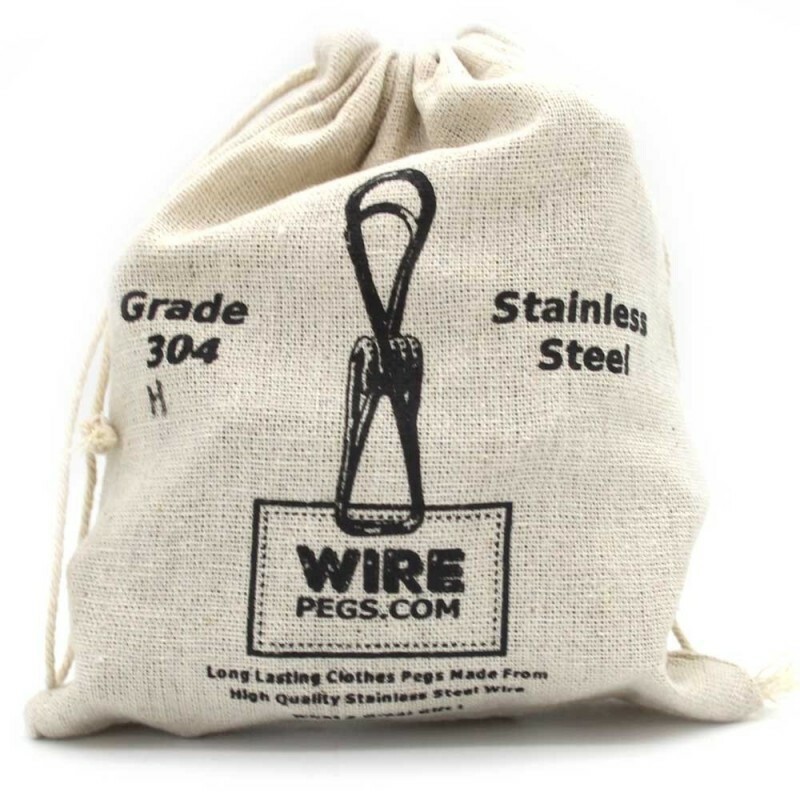 Quality stainless steel wire pegs that will last a lifetime. Made from one piece of wire so they will never break. This steel will take more weathering due to its high nickel and low carbon content. Has hook on one handle, for greater choice in placement and use. 20 in a bag. Grade 304 Stainless Steel. Wire of 2mm wire diameter. 10cm long with hook. 304 grade only. Buying this product = 44 Reward points for Members. Your cart will total 44 points = voucher of $2.20. Not a Member? Join at checkout to claim these points. Standard 201 grade stainless steel pegs: if you tend to bring your pegs inside or live far away from any salt, or want them for indoor use, you would be fine with the 201 grade. Not suitable for anywhere near the ocean / salty air, unless you are bringing them inside and rinsing occasionally. 304 grade: the current grade you are looking at. OK to leave on the line if you live no where near salt! If you have salty breeze, do not leave them on the line as they will be constantly hit by salty air. They should be ok outside if left in a bucket with holes in the bottom - that way the rain will wash the pegs, and, being inside the bucket they are sheltered from gathering salt from the wind. For best care, bring the pegs inside. 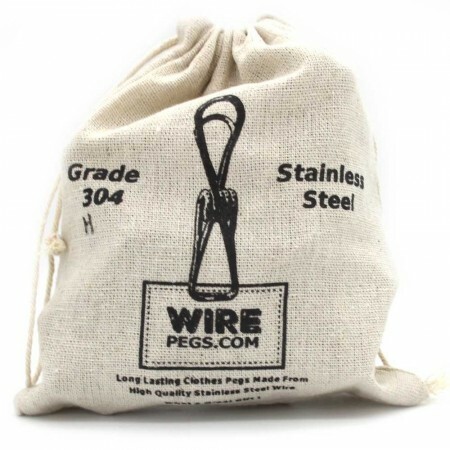 Marine 316 grade wire pegs: Will last a lifetime. The best choice if you live near the ocean and want to leave your pegs outside. They will never ever rust and are perfect for boats or coastal use. Completely zero-waste - steel peg can be recycled, and hemp carry bag can be composted. Designed in Australia, supporting local business. 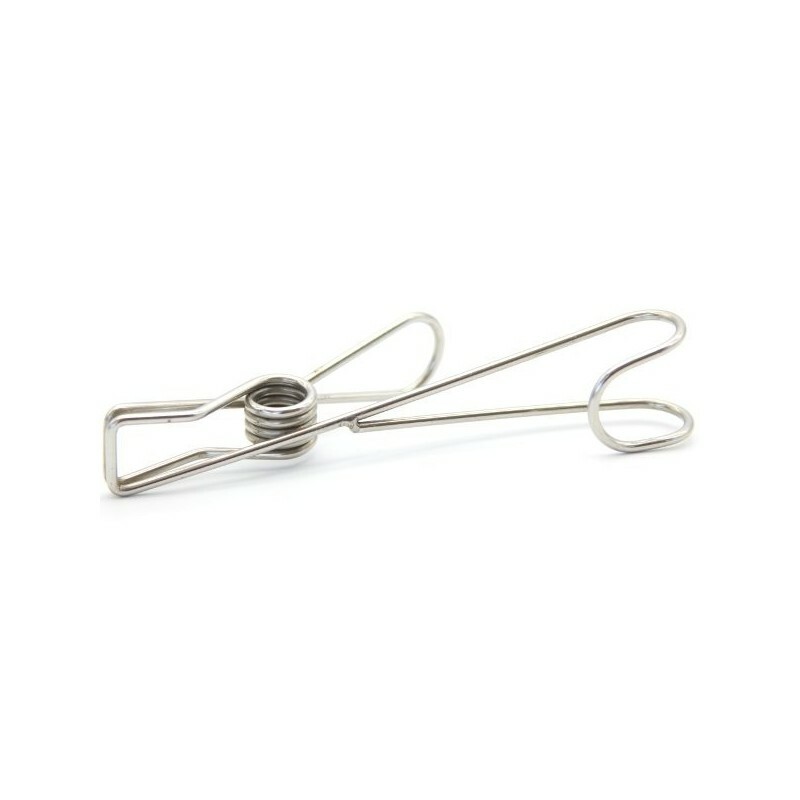 Strong stainless-steel peg made out of one piece of wire - no breaking or falling apart. Lasts ages, so a great investment and value-for-money. Resistent to weathering and rusting (depending on steel grade). Comes in handy, double-drawstring hemp bag. Peg has hook coming off one of the handles - good for clipping up light items where clothes' line isn't available (can hook pegs on side of table, a small pipe, etc). 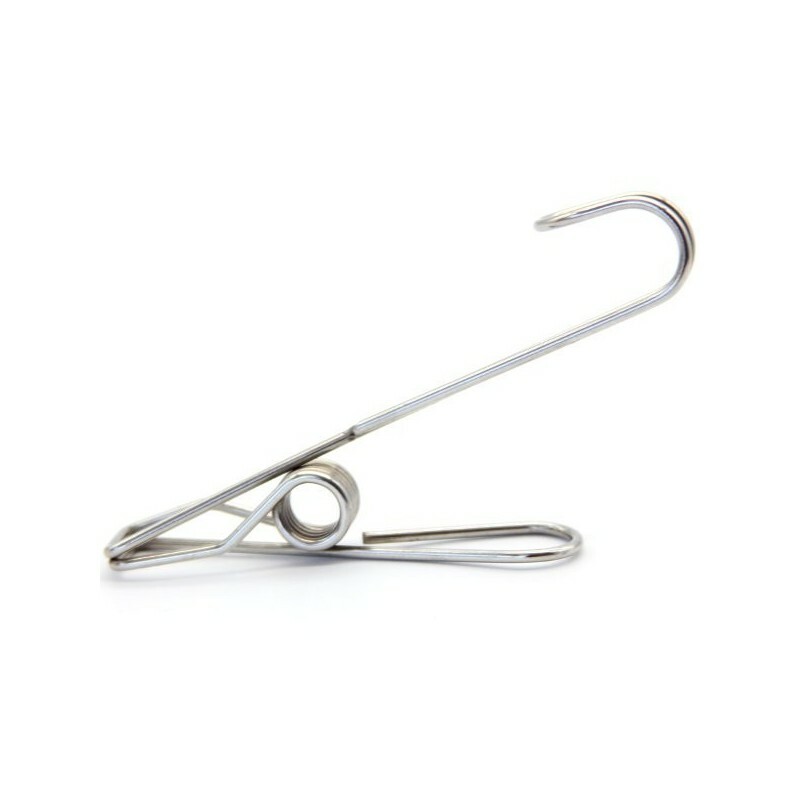 Can clip peg upside down to something, and use the hook to hang something light. Also great as paper clips, for bunting, in the garden, and as a gift! 100% "Salty" or 304-Grade Stainless Steel Wire. 20 pegs in a bag. 10cm long, 2mm wire diameter. Browse our other green laundry solutions.